The following organizations promote the values of voluntary simplicity. 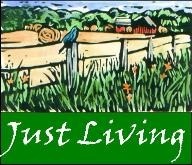 Just Living is offered by PastoralPlanning.com. 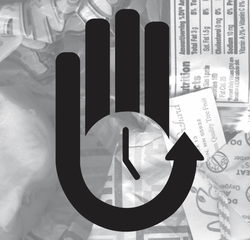 Take Back Your Time is "a major U.S./Canadian initiative to challenge the epidemic of overwork, over-scheduling and time famine that now threatens our health, our families and relationships, our communities and our environment." "Take Back Your Time is a broad and non-partisan coalition for change. This issue can unite groups who seldom talk to each other -- family values conservatives and the women's movement, labor unions and environmentalists, clergy and doctors, advocates for social justice, enlightened business leaders and the "slow food" and "simple living" movements. This issue affects people across class, gender, race and ideological lines. They sponsor an annual "Take Back Your Time Day" each year, promote laws guaranteeing vacation/family leave, and provide many resources. "The Center for a New American Dream helps Americans to reduce and shift their consumption to improve quality of life, protect the environment, and promote social justice." "Since its founding in 1997, New Dream has raised awareness of the negative impact of a hyper-consumer culture. Our focus on the connections between consumption, quality of life, and the environment has made New Dream unique among environmental and progressive groups." "We work with individuals, institutions, businesses, and communities to conserve natural resources, counter the commercialization of our culture, support community engagement, and promote positive changes in the way goods are produced and consumed. New Dream seeks to change social norms around consumption and consumerism and to support the local movement of individuals and communities pursuing lifestyle and community action." "We want to cultivate a new American dream—one that emphasizes community, ecological sustainability, and a celebration of non-material values, while upholding the spirit of the traditional American dream of life, liberty, and the pursuit of happiness." "New Dream envisions a society that pursues not just “more,” but more of what matters—and less of what doesn’t." Alternatives For Simple Living provided many resources promoting voluntary simplicity, particularly from a faith perspective. After it closed, the new Simple Living Works has taken over its mission and resources (offering most for free on its website). One of its biggest efforts was the "Whose Birthday Is It Anyway?" annual Christmas campaign. Lutheran Simple Living advocate Bob Sitze offers insights on his Simple Enough blog.